Seamus worked initially in advertising sales in the late 90’s, moving then to Telecoms and marketing for a major Irish Charity. Having chosen IT recruitment in 2005 to elevate his career, Seamus chose to specialise in .Net / Microsoft Development with Elan IT, (at the time Europe’s largest IT recruitment agency). 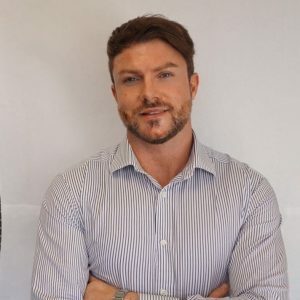 In 2007, Seamus decided to move London to join Greythorn, a specialist IT recruitment agency - with a view to expanding their presence into the Irish Market. In early 2009, Seamus took a giant leap of faith in himself and the Irish market and established Solas Consulting. Initially employing just two consultants, Solas has grown to ten consultants and now source UI/UX, Java, Test, Project management, Product, Business Analysis and Senior appointments for our clients . From previous experience as a candidate, contractor and client, Seamus quickly learned what he liked and what he didn’t like about Recruitment Agencies and knew what he would do differently. This shapes his philosophy / approach to his work to this day – the belief that simple, mutual respect, honesty and expert market knowledge really add value. In his spare time Seamus likes to travel and read a good book.